The problem of speakers producing vibrations and affecting the room and your audio components and vice versa is certainly not news. Amplifier and CD Player, but especially the turntable are affected.. Some hi-fi enthusiasts experimented already 30 years ago with rubber feet, tennis balls and many more isolating devices. 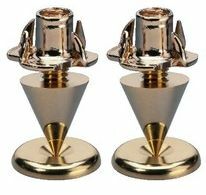 It became evident that spikes - or even better cones - resting on a hard surface are one of the best devices in isolating vibration. 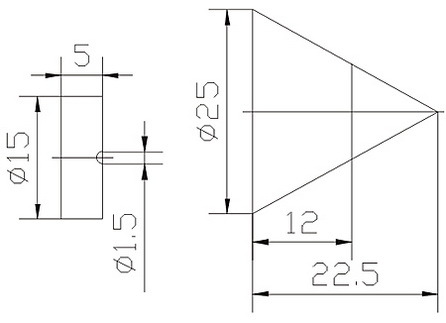 Enlarge Adjustable spike with locating disk. 22,5 mm diameter, total height without disk 25 - 26 mm. The height is adjustable by twisting the cone. 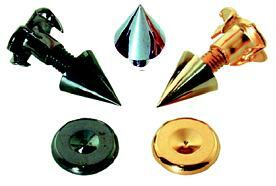 Audaphon spikes are made of glass and teflon. 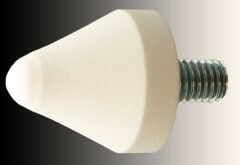 The spike is 25 mm in diameter, total height is 28 mm. There is a thread (M8). 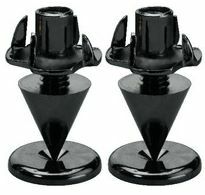 The spike is delivered with headless screw. 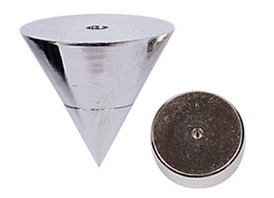 Oehlbach Mini Spike (20 mm diameter, height 10 mm) with locating disk. Slim version, adjustable in height, with support disks and drive-in nuts, black chromium-plated (SC). Slim version, adjustable in height, with support disks and drive-in nuts, gold-plated (GO). 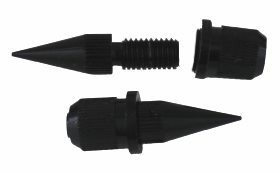 Reasonably prised black, height adjustable spike, consisting of spike with thread (M8) and drive-in sleeve. Total length 41 mm, thereof 16 x 12,5 mm for the sleeve. 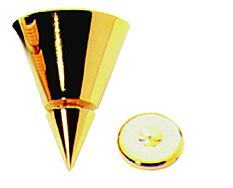 Height adjustable, gold plated brass spike SP 30 with locating disk. 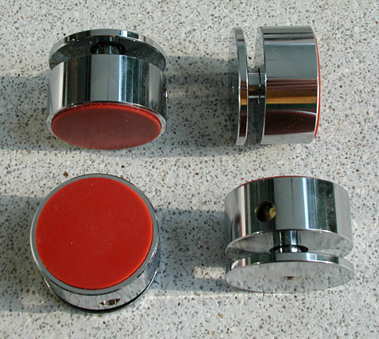 32 mm diameter, total height including locating disk from 41 mm. The height is adjustable by twisting the cone. Reviews have been published in stereoplay 10/99 (verdict: outstanding), as well as in Audio 2/98. The silencer comes in a box of 4. 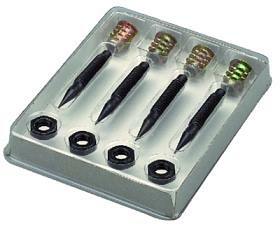 They impress by isolating vibration with outstanding results and are easy to install (either with screws, adhesive or by simply placing them beneath a component). They don't produce any scratches like e.g. the classical spike.